"Wander" Tote Bag or Backpack is multifunction bag for daily life, the straps can easily transform from the tote into a backpack, suitable to carry your goods to your office, strolling down the street, or even in your short getaway. Fabrics: Coated polyester filament fiber padded with 10mm polyfoam, waterproof polyester inner lining, nylon webbing, YKK zipper closure. Colors: Dark blue, black nylon webbing strap. 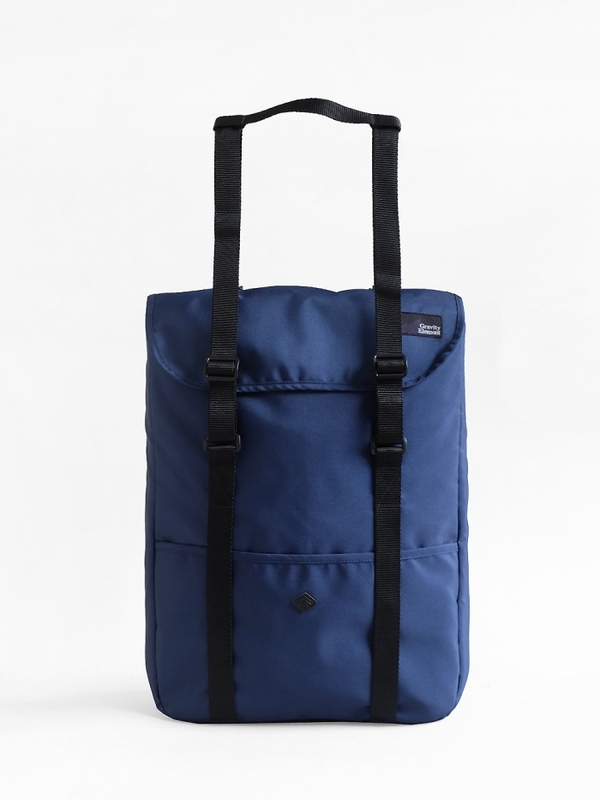 Features: 1 main compartment with flap and YKK zipper closure, 1 large front pocket, laptop sleeve inside up to 15", 3 different organizer pockets inside.